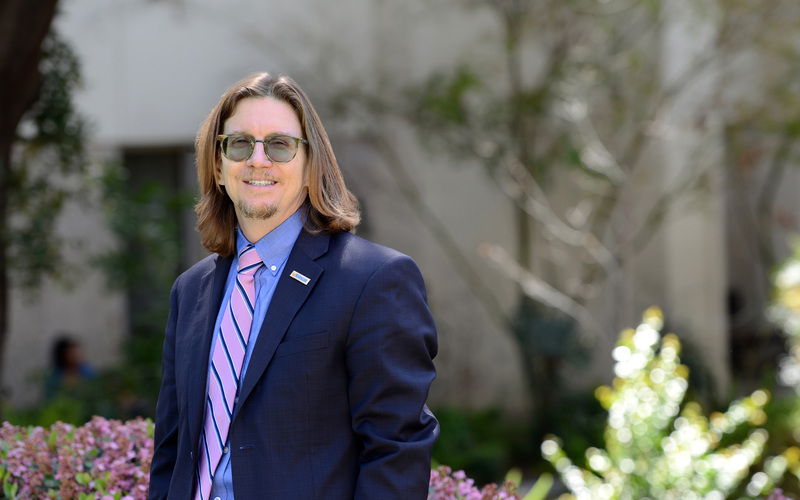 Thomas M. Smith, a professor and dean of UC Riverside’s Graduate School of Education, has been named a 2019 Fellow of the American Educational Research Association, or AERA, the largest national interdisciplinary research association devoted to the scientific study of education and learning. His work previously has been funded by the U.S. Department of Education’s Institute for Education Sciences, the National Science Foundation, and the John Randolph Haynes and Dora Haynes Foundation. Smith’s active research involves partnering with schools and districts to improve student learning outcomes and promote college and career readiness. He currently collaborates with researchers at Vanderbilt University, UC Irvine, and the University of Washington, as well as practitioners throughout the Inland Empire and San Francisco, to develop, test, and implement practical measures and routines for instructional improvement in mathematics. He also works closely with the Riverside County Office of Education to identify and “scale up” effective college readiness practices. Smith served as the executive director (2014-2017) and director (2010-2014) of the Vanderbilt University-based National Center on Scaling Up Effective Schools, a research and development partnership funded by the Institute for Education Sciences. The center, a collaboration between five universities and two large urban school districts, was designed to develop, test, and implement new innovations for improving learning opportunities for students from traditionally low-performing groups. Smith also served as co-director of a National Science Foundation-funded project called Middle-School Mathematics and the Institutional Setting of Teaching, or MIST, geared toward enhancing the impact of mathematics teachers’ instructional practices. As part of the MIST project, he and his co-researchers released “Systems for Instructional Improvement: Creating Coherence From the Classroom to the District Office” in 2018 through Harvard Education Press. Smith previously served as a professor and director of Graduate Studies at Vanderbilt University. Prior to arriving at Vanderbilt in 2001, he conducted and managed statistical research activities at the Department of Education’s National Center for Education Statistics, the Organisation for Economic Cooperation and Development, and the National Science Foundation. The 2019 Fellows were nominated by their peers, selected by the AERA Fellows Committee, and approved by the AERA Council, the association’s elected governing body. They will be inducted on Saturday, April 6, during the 2019 AERA annual meeting in Toronto.